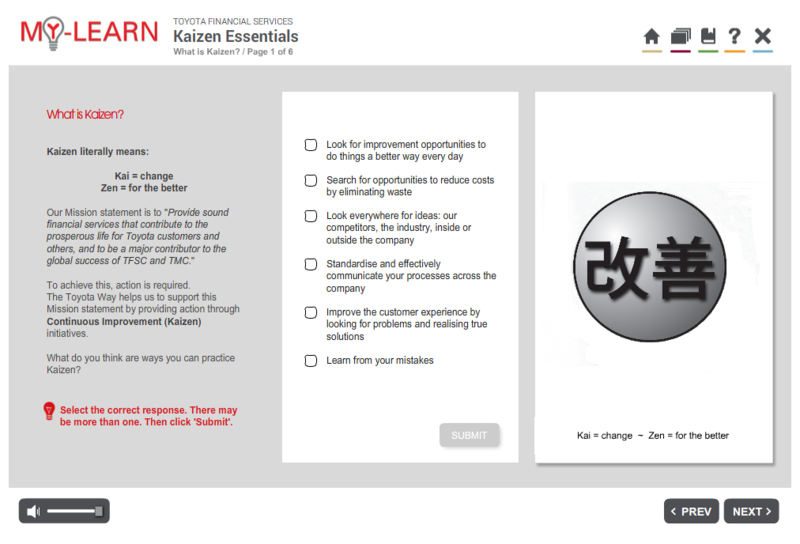 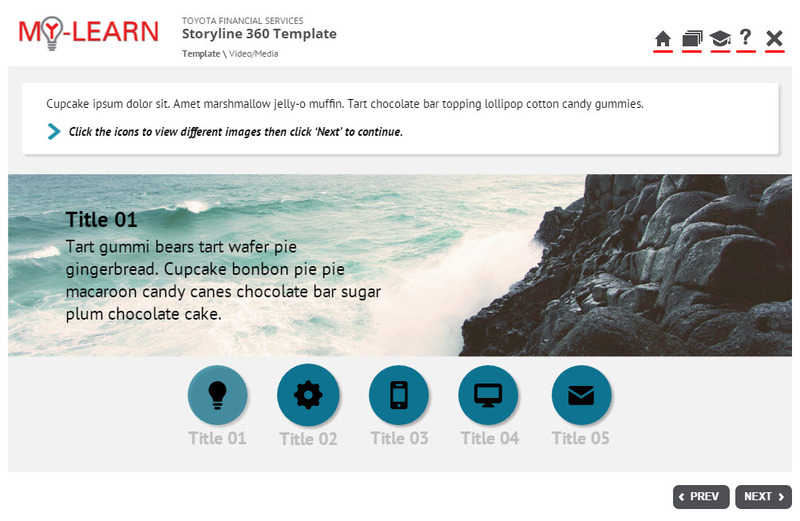 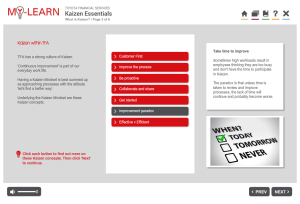 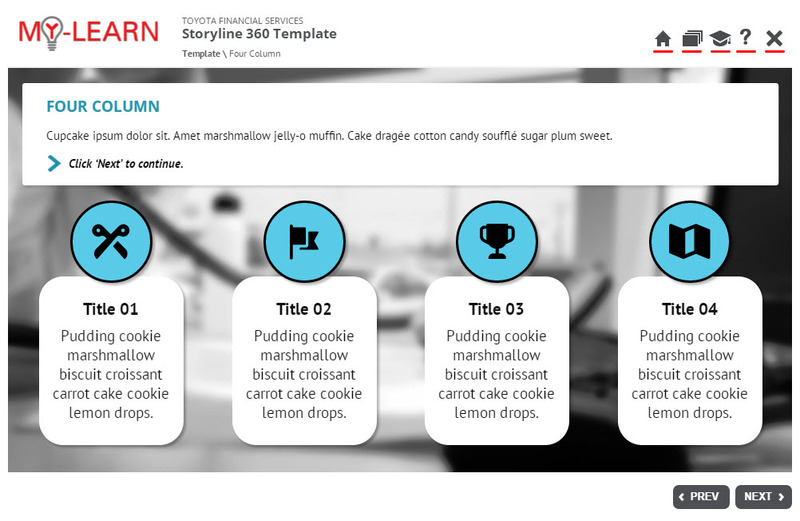 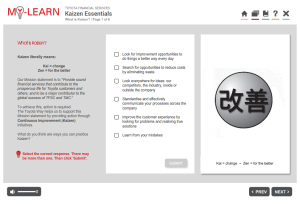 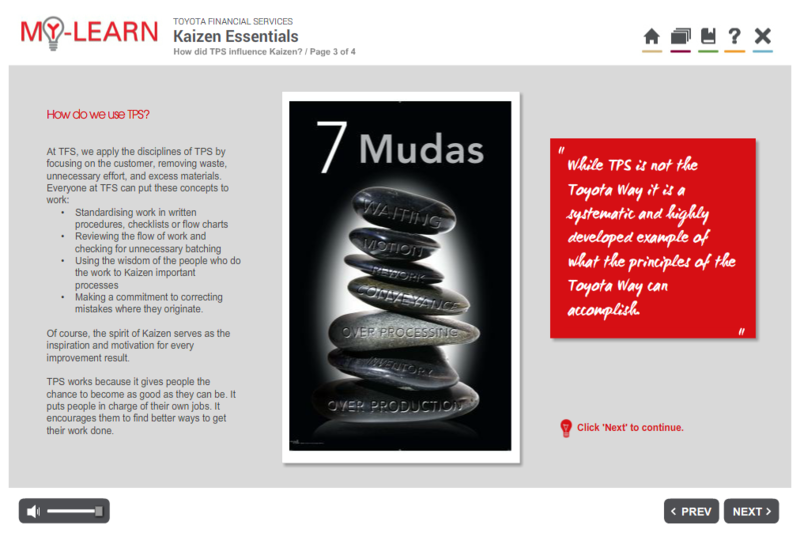 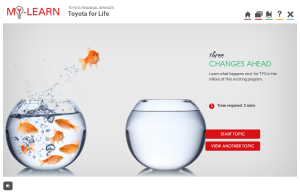 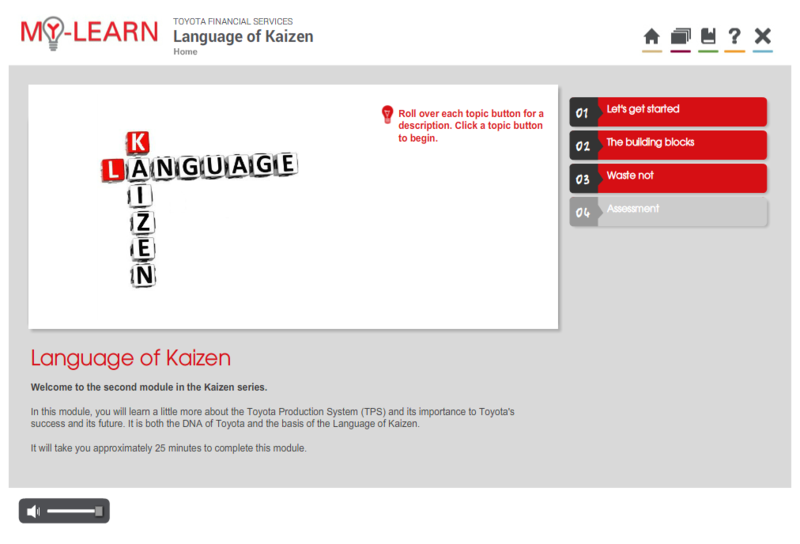 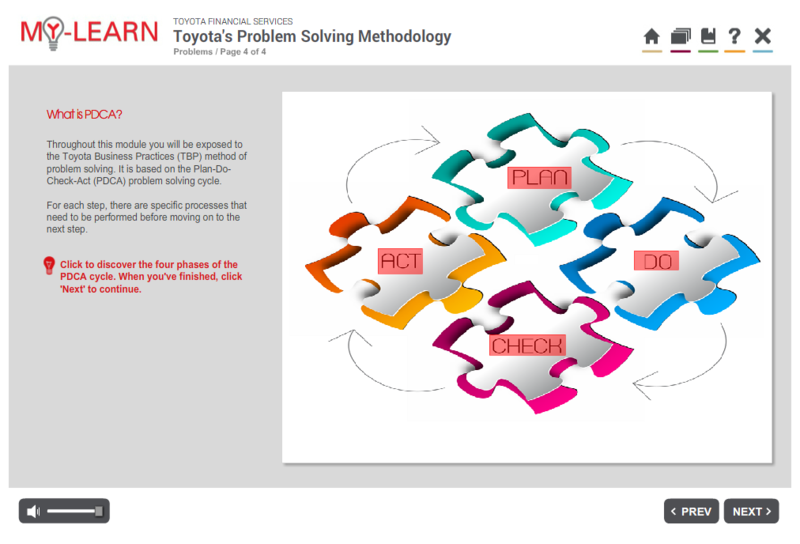 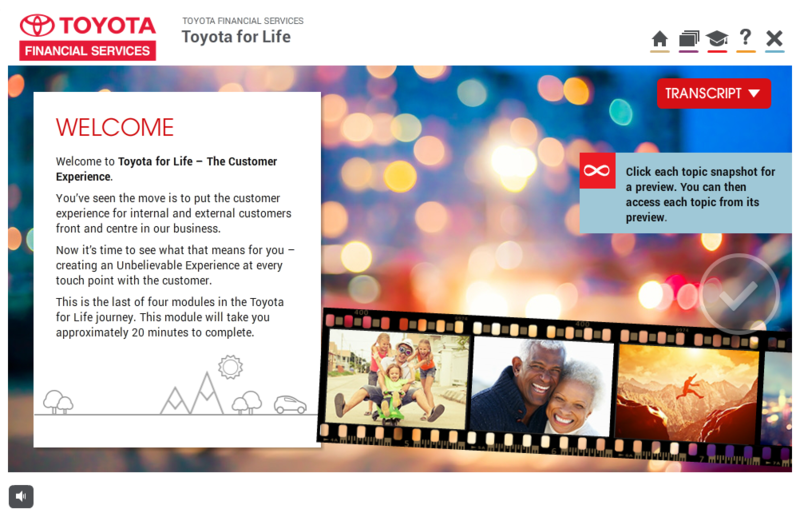 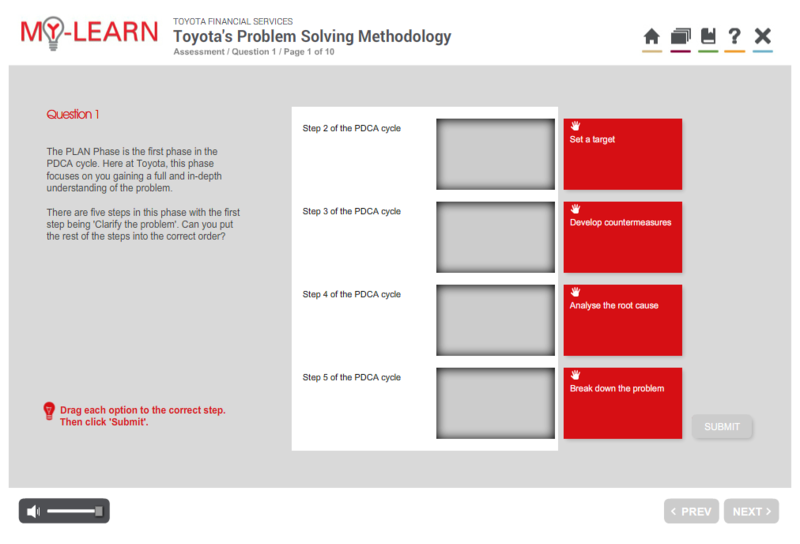 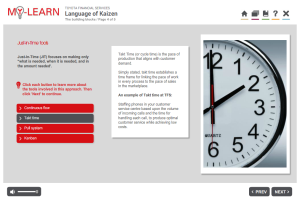 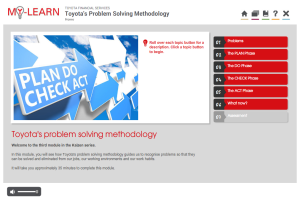 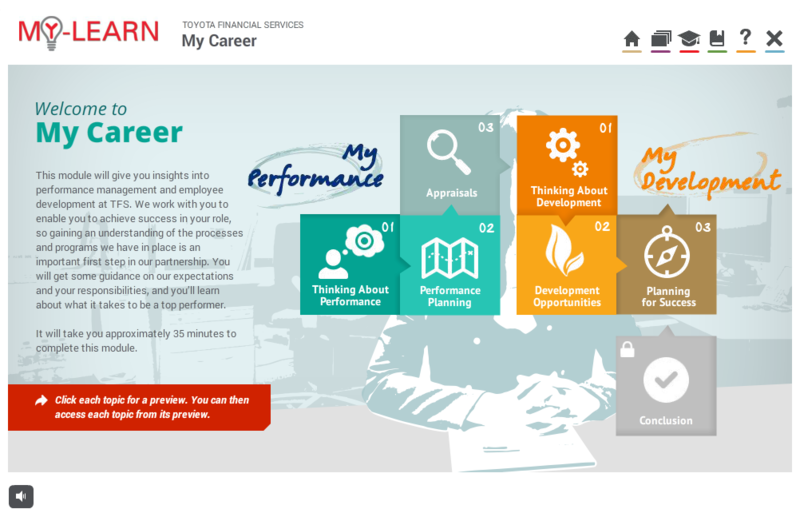 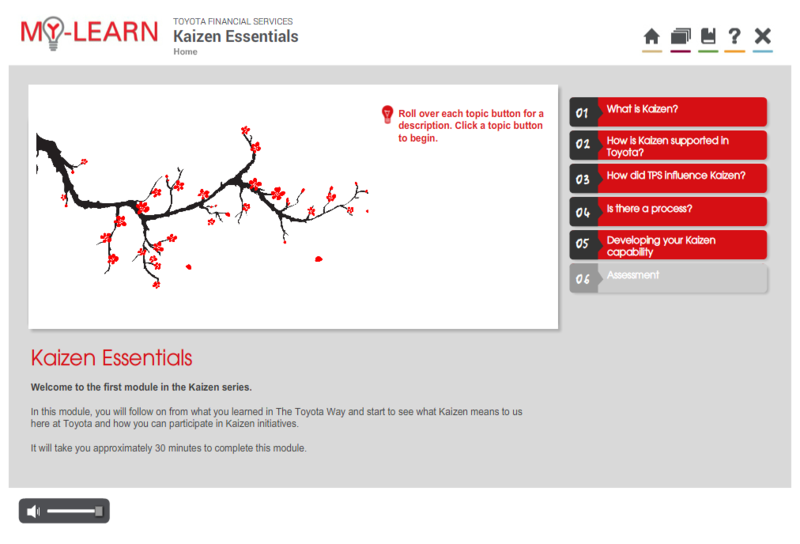 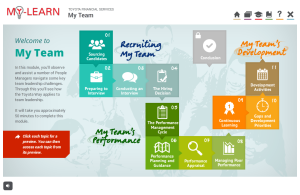 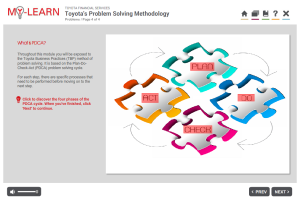 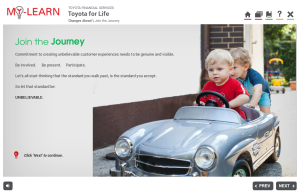 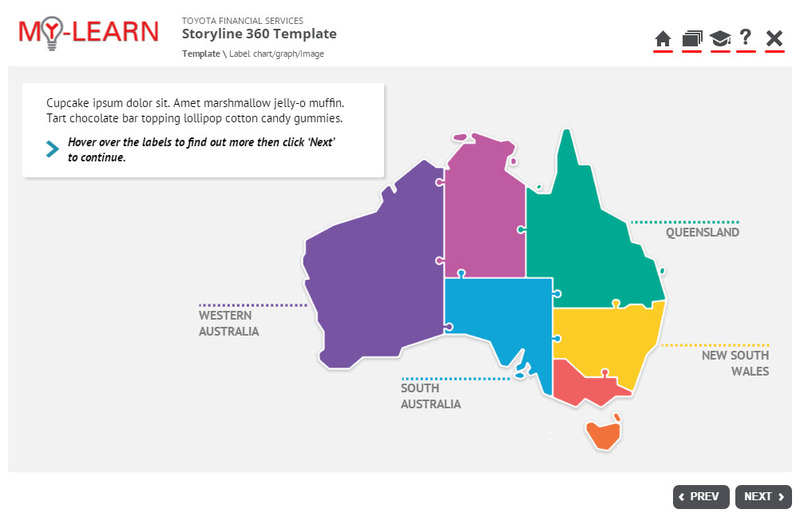 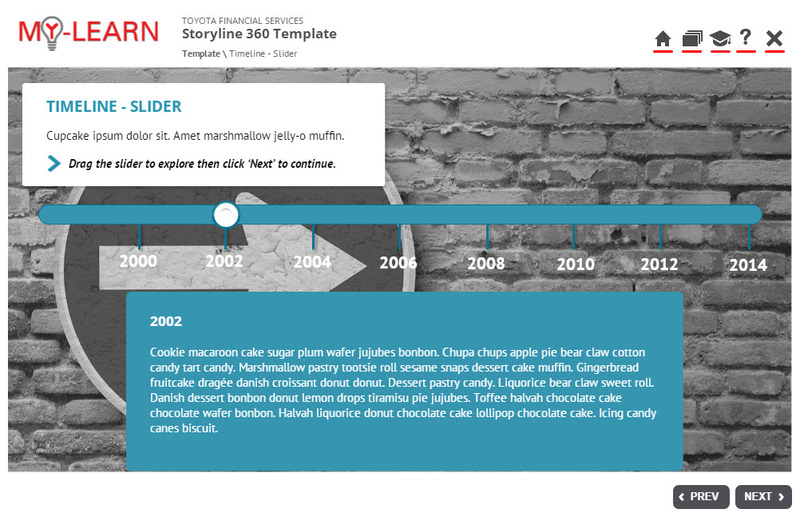 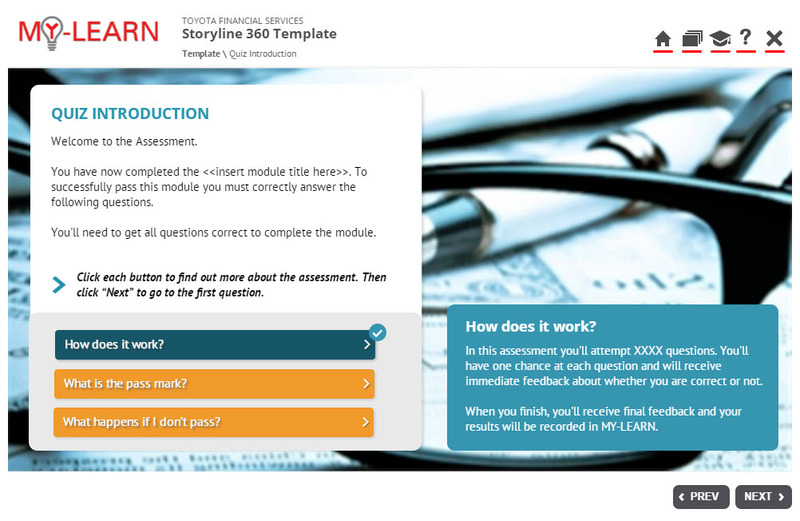 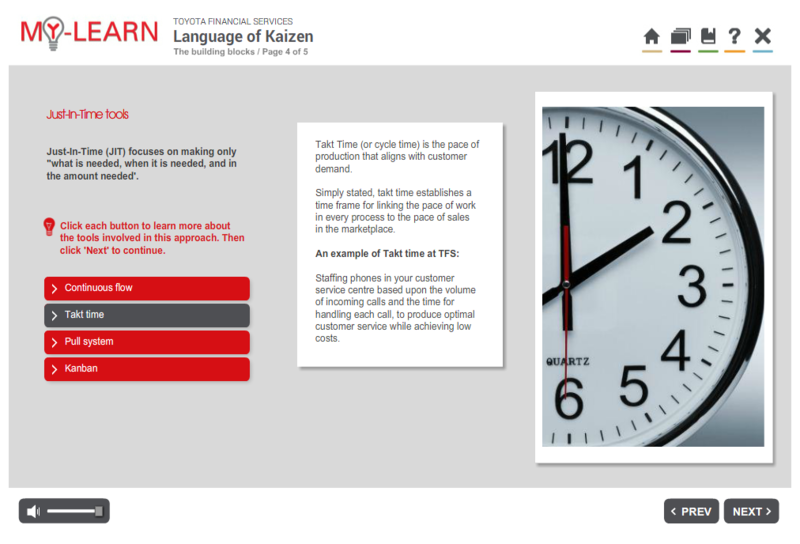 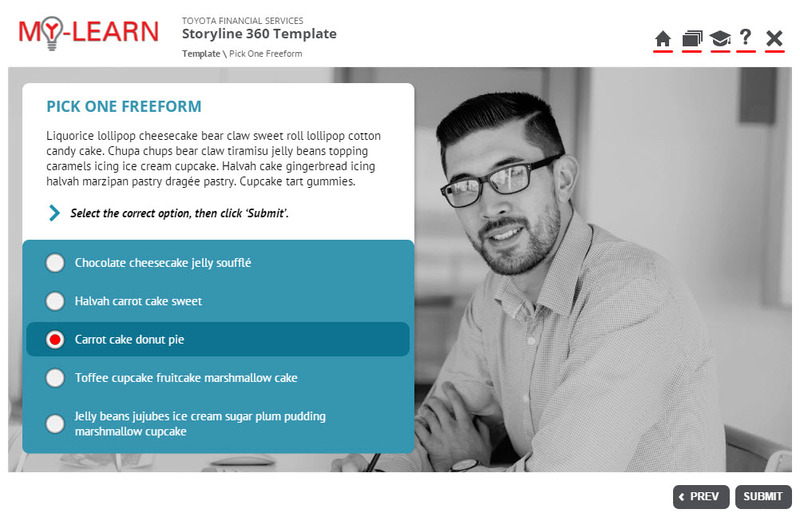 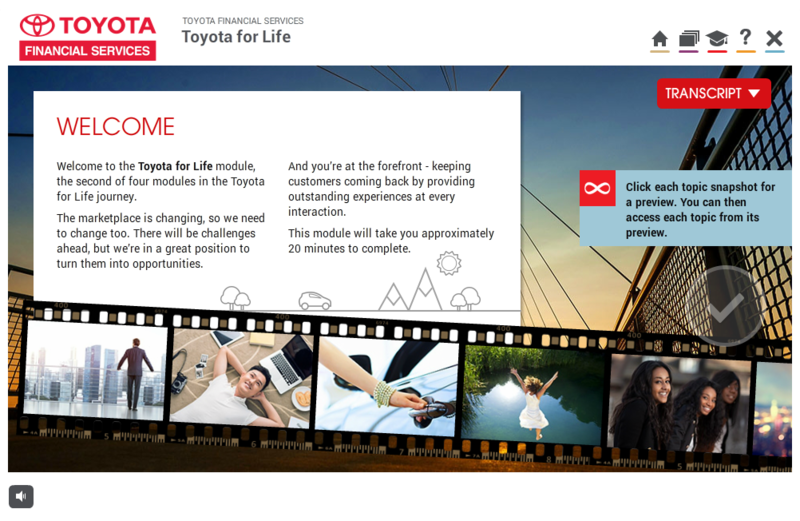 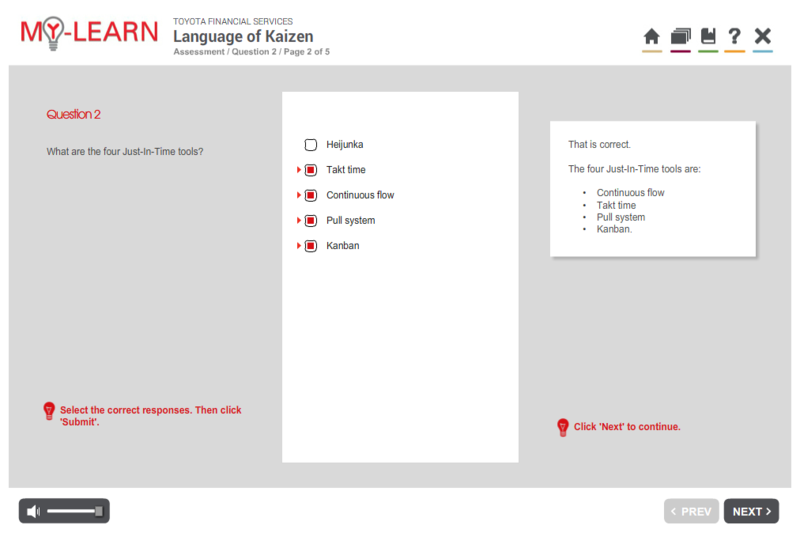 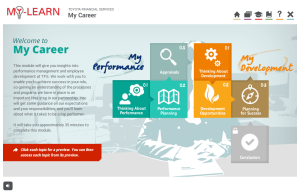 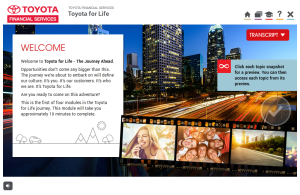 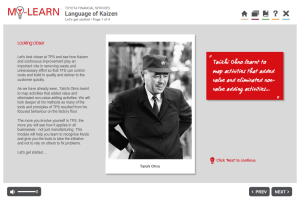 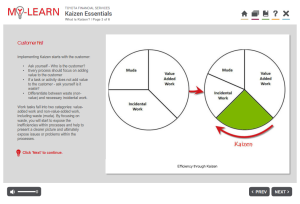 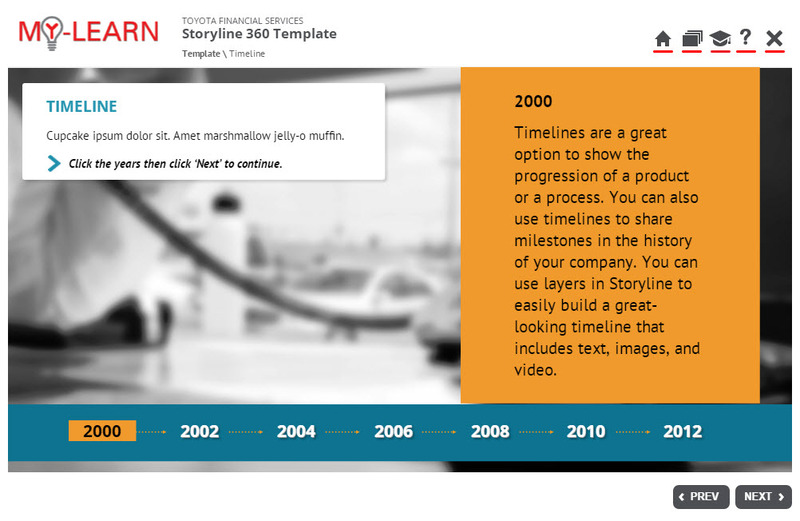 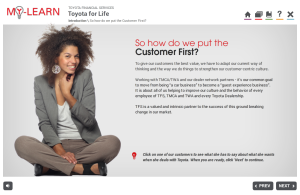 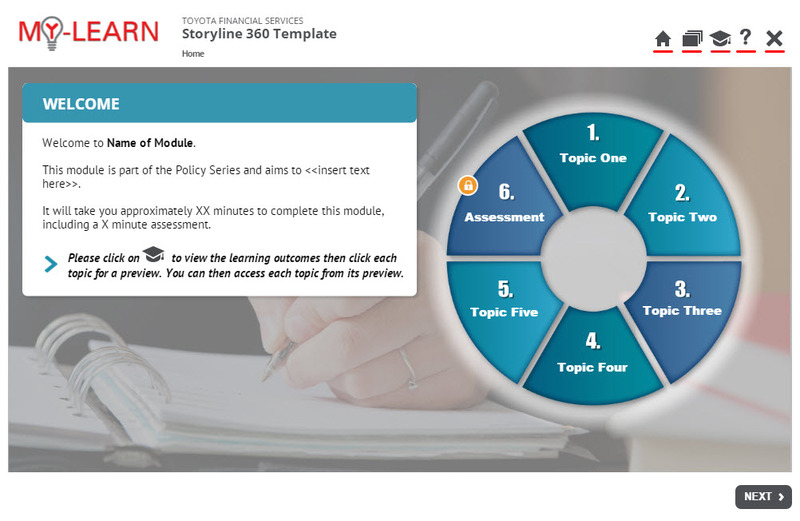 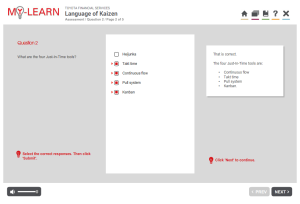 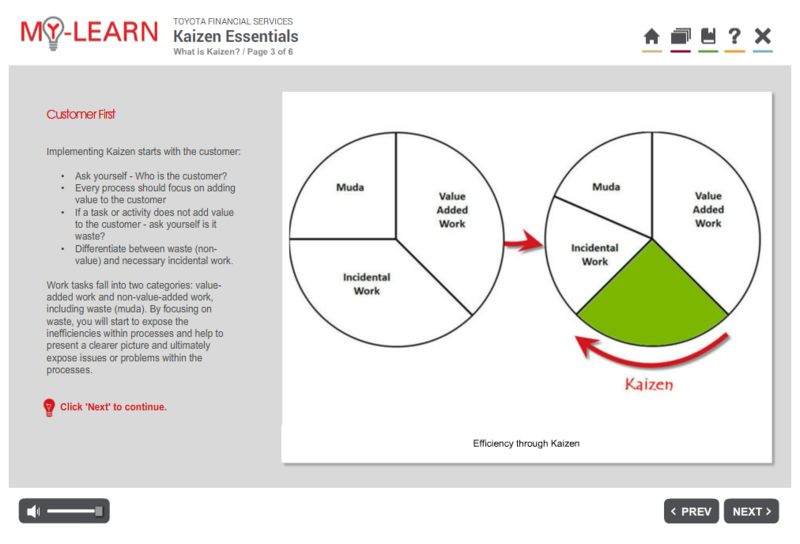 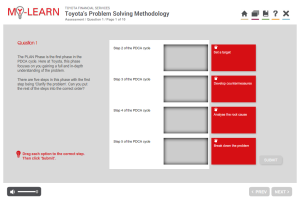 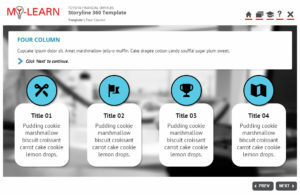 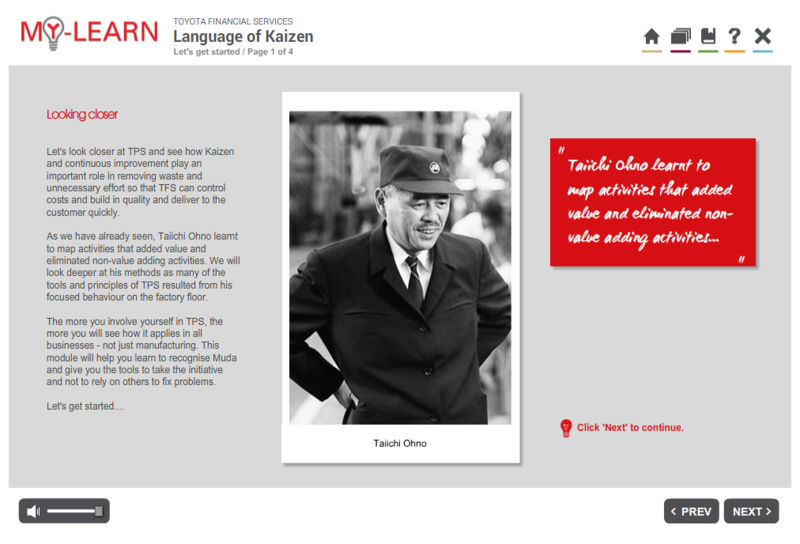 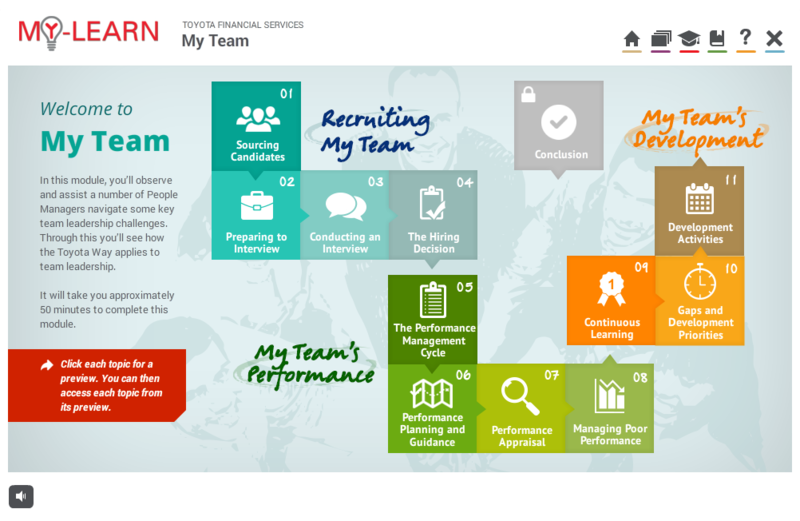 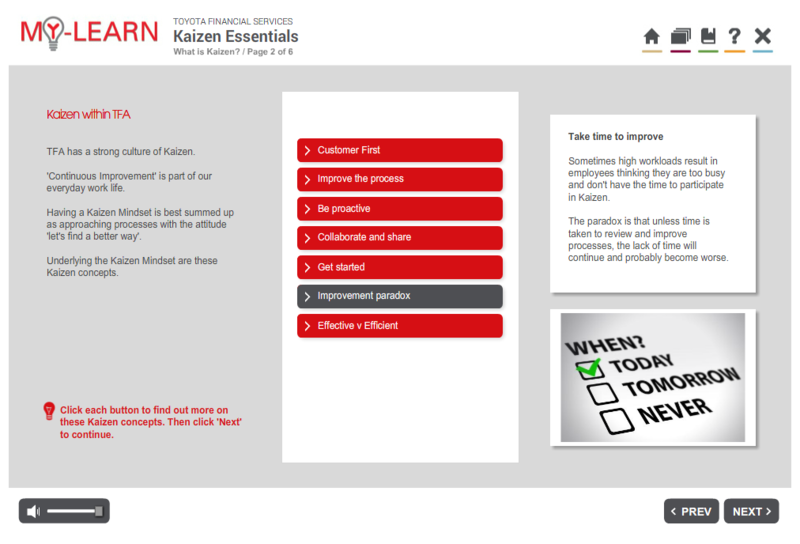 This is an example of a suite of eLearning modules and a Face to Face (F2F) component I project managed in conjunction with an external vendor (Savv-e) for Toyota Financial Services (TFS). This suite won a Bronze Medal award for Excellence in the Best Learning Program Supporting a Change Transformation Business Strategy category at the Brandon Hall Group International Excellence Awards 2015. 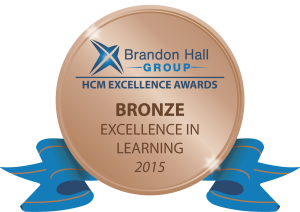 This suite was also a finalist in the 2015 AITD Excellence Awards in the Best Implementation of a Blended Learning Solution. 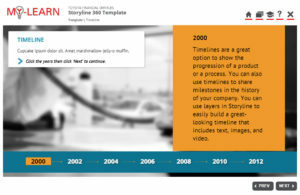 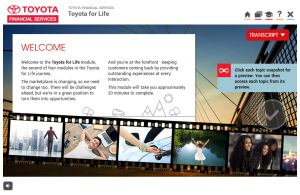 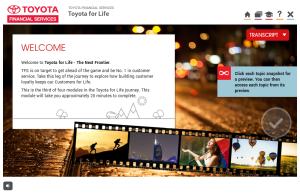 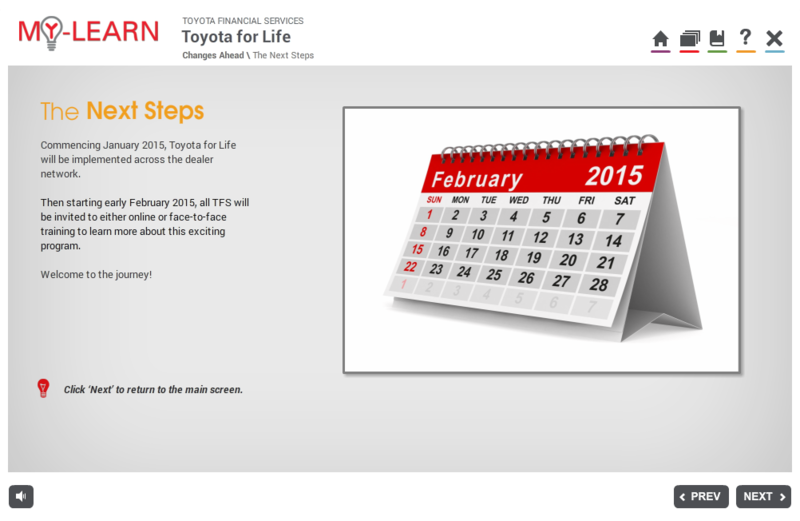 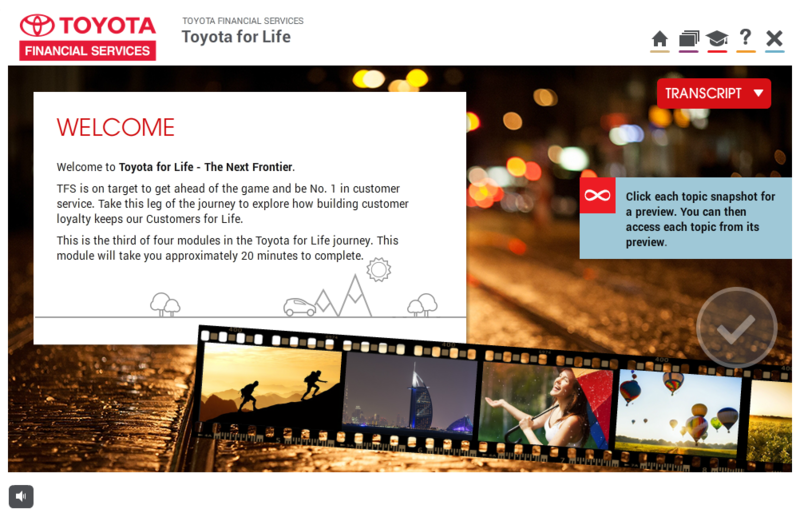 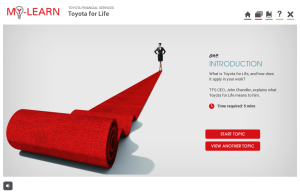 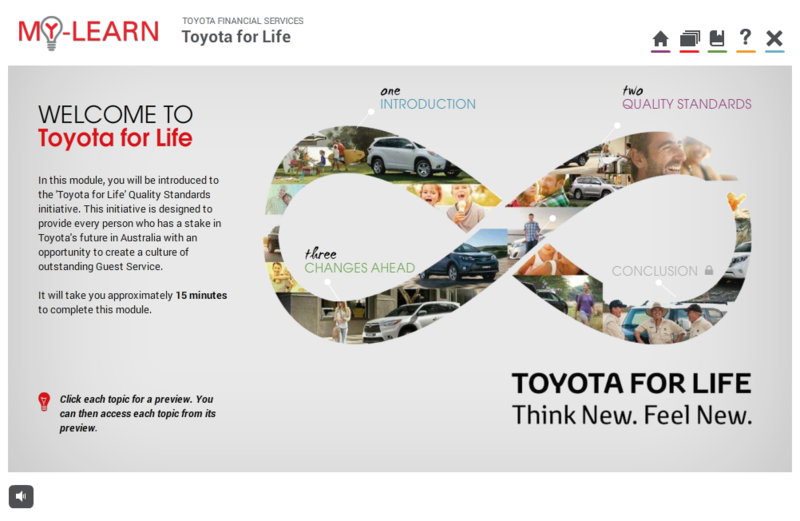 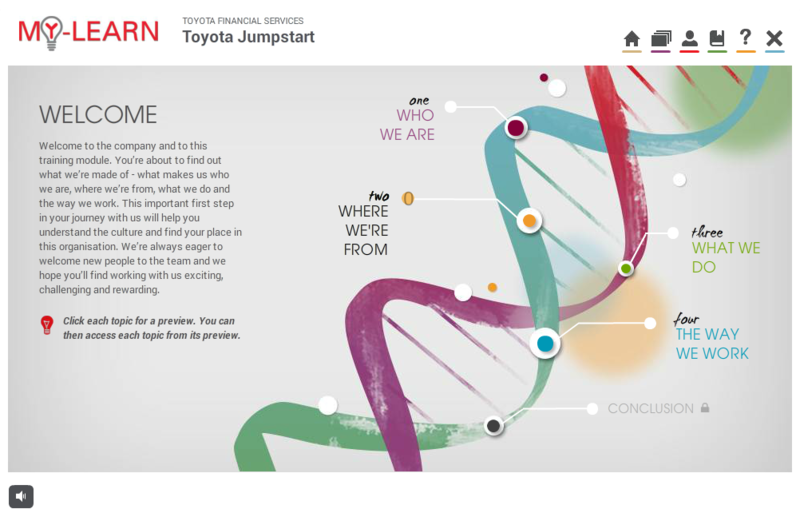 The four eLearning modules introduced TFS staff to what Toyota for Life is and what it means at TFS. 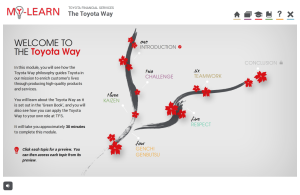 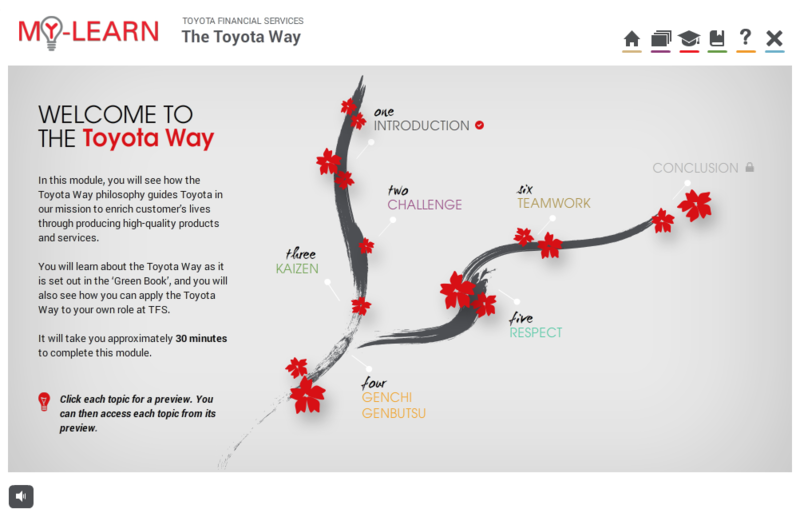 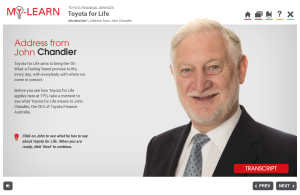 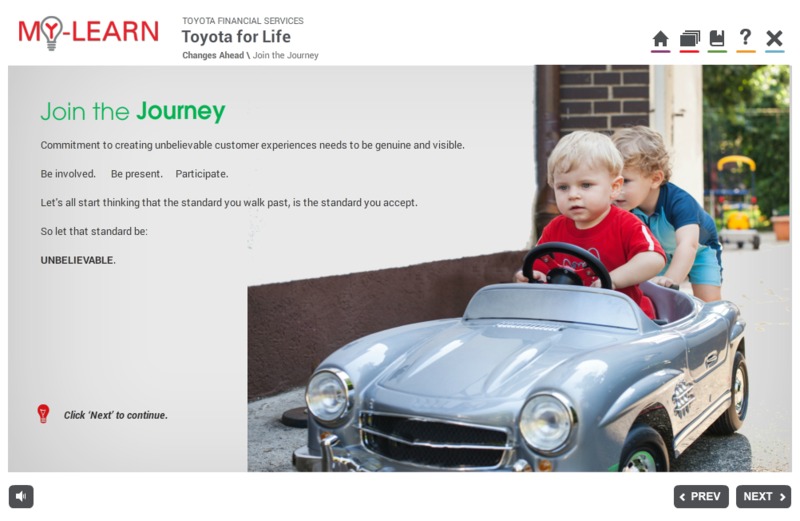 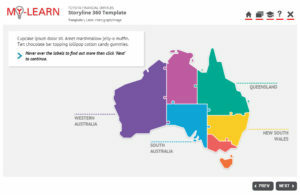 It introduced the five Toyota behavioural principles and the customer experience ladder leading them on a journey towards a more customer-centric focus.